Jasper’s Fire Chief is in Yukon, but it is not regarding his job or emergency services. Greg Van Tighem’s “End to End MS Dempster Highway” solo bicycle trip kicked off in Dawson City on Saturday. Van Tighem says losing a close friend from Yellowknife pushed him to help fight the battle against Multiple Sclerosis. 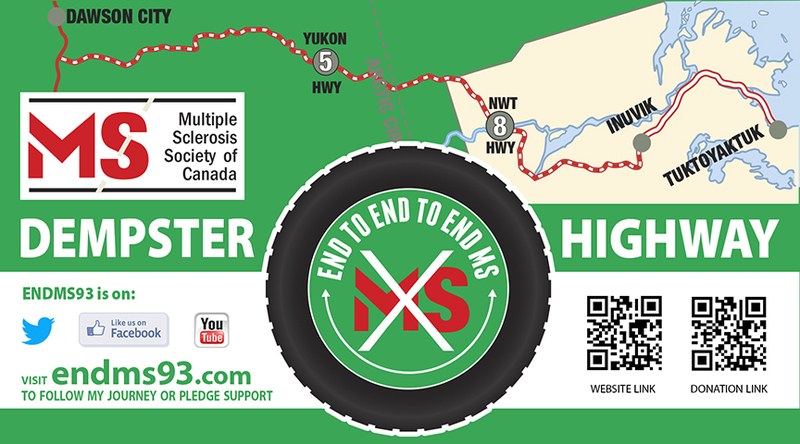 People can sponsor Van Tighem and track his progress on the Dempster Highway by checking out his website EndMS93.com or check out his Facebook page End MS 93.
site EndMS93.com or check out his Facebook page End MS 93.